It’s Friday around 1520, dark and quiet. I am lying on the floor inside my space on my back with my eyes closed; I take one deep breath, two, and three. It’s time to go. I’ve just finished my desk jockey shift and I am ready to roll, I picked up my helmet, tank bag and gloves. And just like a fighter pilot I walked over to my moto ready to hit the tarmac. I have been planning this trip for a while now, and every time I thought it would happen something seemed to conspire against me, the weather, equipment or simply plain old excuses, not today. It’s time for a systems check: lights, levers, tires, mind check, all systems are go. The ambitious plan for the weekend is to travel from DC to Niagara Falls, NY. via State Roads (SR) and avoid the super slab as much as possible. Inside the 250's cockpit, ready for take off. The weather calls for 80F/26C, sunny with around 60% humidity, not a bad thing if you are walking around in shorts or other skimpy outfits, except I am “standing” in traffic with full gear on and I am starting to feel a bit like a hot pocket! I tend to be cautious and ride ATGATT. Even though is Friday traffic is dense and moving slow, too slow for me but I don’t have a choice. And I slugged through traffic on road MD 29 until I reached MD 32 and was able to pick up some speed. I made a quick stop in Downtown Gettysburg, PA., for a photo op, this place is really popular during summer and this circle tends to become really hectic and sort of moto unfriendly. One of many monuments along the Battlefields. My destination is Chambersburg, PA. My hosts for the evening are SoPaRider and SoPaGuider an inmate couple from advrider.com forum whom graciously accepted my tent-space-request on a really short notice! After nearly two and half-hours of cruising through variations of light, heavy and slow traffic I finally reached my destination. The approximate mileage from my home to Niagara Falls appeared to be around 400 miles, that’s a long day on the saddle on a 250, thus I decided to break it up into two more manageable sections. I had my gps with me and had been around the area before so I did not have any problems finding their place. I have never used tent space before so I was not sure as to what to expect, but as soon as I arrived I received a warm welcome and felt at ease. They are dedicated moto enthusiasts and have many great travel stories! We spend the rest of the time becoming acquainted sharing travel stories and a brew. They even took me on a tour of their town and to a place that can only be described as a beer lover home, ah thank you. The next day I had to get an early start and was up at 0530. SoPaRider is well verse in route planning, and after consulting my planned route and getting a few suggestions I was off on my SR or bust adventure. Chambersburg, PA., to Niagara Falls, NY., to Salamanca, NY. The air smells fresh the skies are clear and it looks like is going to be a good day to ride. I geared up and thanked my hosts and new friends for their hospitality and I was off. It did not take long for me to take an unplanned turn and within three miles I had to pull over and study my map. Fortunately, shortly thereafter a couple on a truck stopped by and asked if I needed assistance, I said sure, do you know which way to road MD 11? They said we are going that way follow us! This type of pleasant encounter would later become a theme on this trip. I may have mentioned in previous posts how much I “enjoy” the big city and how much I prefer small cities/towns. It was with the intention of riding through as many small towns as possible that I had chosen this route, except I had no idea as to what to expect. Will I run out gas? Will I this or ….? There was a mild level of anxiety, but just like in previous trips, at some point one has to simply roll the throttle and surrender all apprehension, it is time for a life lesson. One day not so long ago on my way to my nine-to-five desk jockey shift I heard a commentary on national public radio (NPR) radio, something to the effect that as humans depending on your perspective one is either living or “decaying” from birth. If our existence is predetermined as are our chromosomes than perhaps one should begin to really exist. After I got back on track on SR 11, I begun to relax and simply ride. While touring I believe there are three confounding variables that affect the overall experience and ride, and those are: fatigue, known/unknown path and weather conditions (all things being equal and assuming one is a skilled rider). This morning I was mainly concern with the unknown path. One out of three is not bad, right? What I had as a route reference was a one dimensional map, I had failed to review topographical maps displaying elevation gains/losses and other pertinent useful facts, no problem I got this, I think. The SR roads begun to meander through beautiful fields, green luscious and vibrant, punctuated by barns and other living quarters. A space unlike the one I inhabit, this is tarmac surfing indeed. I tried to memorize my route and failed, with so many turns and different SR numbers, it was like trying to juggle while riding a unicycle. After a few dozen miles I encountered my first natural obstacle, a decent size mountain. This was not a particular high mountain but it had been paved with a moto enthusiast in mind (at least I’d like to think so). The climb was sudden, coupled with tight switchbacks and a steep descend, daydream here and you will bounce on the tarmac like a bowling bowl and strike out! On the other side of this mountain, yet another wave of small towns awaited the eager surfer, no argument there. Unlike, a Las Vegas buffet this is something I am ready to indulge. The SR’s continue to reward my perseverance with long sweeping turns, idyllic Main Streets, smooth tarmac, curious smells, ubiquitous greenery and serenity. But all is not free, the SR’s will exact an admission toll on all who wish to pass through. And I am beginning to feel fatigue. All the up and down, lean right and left, shift down and up, brake and rolled the throttle are starting to wear on me, but I can’t stop. I have searched and dreamed of such places and now I am here, I am awake and I am far from decaying! One of many small town Main Streets along my route. Brockway NY., trying to make what I thought would be the last hard push of the day. As I near PA SR 320 a bright road signs flashes that it is closed! It’s time to pause and study my map, a quick glance indicates that I now must enter the super slab domain. A brief encounter but an encounter nonetheless. 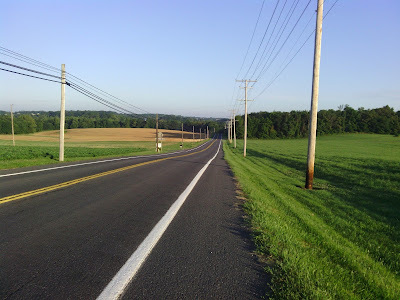 After a few miles at what appears to be supersonic speeds for a CBR250, I am on PA SR 350 simply gliding along, until I connected to I 80 West for yet another brief super slab session eagerly waiting to intersect road 219. 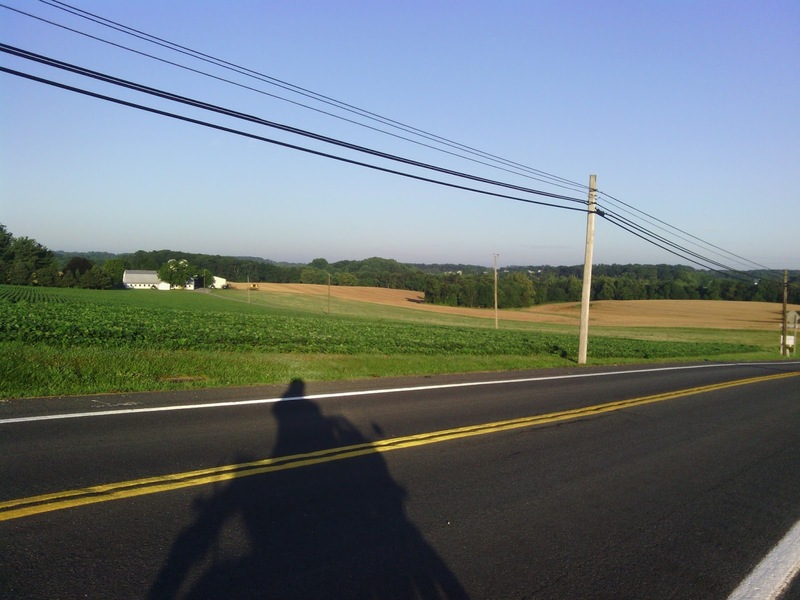 NY 219 is the last section on this trip, less navigating and more riding. I’ve never ridden this road before but it delivers. There are fast and smooth sweeping 55mph sections punctuated with 25mph main street strolls, all part of the experience. However, it is a long demanding road. After a couple of hours I am now close to Buffalo NY., only twenty more miles and I will reach my objective, except now all three variables are conspiring against me. The sky is gray and gloomy, and a steady drizzle hampers traction and visibility, the path is unknown and am feeling fatigued, I must focus. One toll and two crowded bridges under a steady drizzle later and I reached Niagara Falls NY., an anticlimactic end to first half of my journey, since I had made no other plans once I arrived. I learned that there are multiple Falls' viewing points and an excessive long pilgrimage to the Falls’ viewing sites. The place resembles an amusement park, full of cars, people jockeying for food, lodging, etc. I have a decision to make. My initial plan calls for a rendezvous with another inmate from advrider south of Buffalo, but it’s early only 1500. I sat, I pondered, evaluated, adapted and executed. The 250 in downtown Buffalo, NY., with plenty of "street residents" walking around I was unsure if I would comeback to and unloaded and much lighter 250. I was running low on “fuel” so I decided to stop in downtown Buffalo and refuel at a local pub, a rather unimpressive establishment, or maybe I missed something? At least my Brontosaurus burger tasted better than it looks (minus the bacon) I basically took over a booth that seats 6 with all my gear sprawl out on it. It is now 1630, I decided to let it roll and headed southbound. Three hours later I arrived at Salamanca NY., at The Dudley Hotel, a historic Hotel that is being “renovated”, this will be a first. I booked a room at this placed over the phone, never heard of it, never saw a picture. In fact the only time I heard of Salamanca was in reference to Spain. I needed a place to stay and they had one available, it’s late, I’m tired, done! As soon as I walked in, I was greeted by not one but two senior canine Hounds? This was odd, yet intriguing since I have a soft spot for canines, I am digging this place already. By now I am exhausted, I am moving at half my normal speed, all I want to do is sit and relax but I have to remove my saddle bags and lube my chain. I’m staring to wonder whether belt or shaft driven motos are better? I must admit that when I walked into this place I was a tad apprehensive. I could not find a “safe” parking spot for my moto, but this was home for the evening like it or not. After checking in the clerk informed that I could have the VIP spot in front of the hotel, really? Ok. The following morning after a short conversation I found out that the “clerk” is really the owner along with the hounds! A really nice person, considering she rescued the hounds and is trying to renovate a historic building. When I first checked in I thought I was being overcharged, after further reconsideration I’d like to think that I’ve contributed to the local economic development by supporting a locally owned business, one that is canine friendly! The concierge, he did not speak much. Would you leave your moto park outside in the dark? After a long day on the road it was time to take off the gloves, hang up the keys and enjoy a beer I had been carrying in my saddle bag all day long. It was warm but it tasted fine, one of my favorites. Fortunately I woke and found out I still had a moto to ride home. Unfortunately I woke up to this, wet and sleek roads. Today started like most days when I tour: cloudy, cool and wet. I am unable to wait for the weather to change to favorable conditions, this is what I have been training for: Sport-touring incidentals. I reluctantly geared and loaded up and got on the road. For the first hour I rode in what can be described as steady, relentless drizzle. I am heading southbound SR 219, the speed limit calls for variable speeds, the rain is persistent. For dozens of miles I am the only one on the road, the only moto on the road!! I am perplexed at first, but after a few miles I begun to embrace it. Here I am in a place and time I’ve been searching for, except it is under less than ideal weather conditions. My gear is doing its job and I am dry and comfortable. It is all coming together, the weather, the road, the variables are manageable, until… a flock of cages catches up and they disrupt my flow. I am surfing up the wet road, as I begun to climb the passing lane is about end, it is a magnificent half mile left sweeping turn. As I near the top and lean my rear tire catches the white stripe and looses traction! It slides just enough to cause a huge concern, it bucks and regains traction and I ride on… that was a reality check. The rain continues and so do I. Because the weather forecast calls for rain I decided to retraced my original route, and eliminate a variable. The calculated risk pays off and soon after the weather clears all is well. I have passed the halfway point on this tour and my body is now revolting against the mind. After hundreds of miles the right side kneepad is compressing my kneecap and causing an excruciating pain, like a rod through the kneecap, and my kidney area feels as if I have a hot iron pressed against it, I am in pain and I know it. Can I hang on? And is this merely a mental issue? I realized I have set my sleeping bag high on a perch on the bike and this forces an uncomfortable mount and dismount resetting the knee pad on a undesired spot, problem one solved, but what about my back? With only 35 miles to go I had to pull over my back feels like hot dominos ready to collapse, my reaction time for shifting and braking have decreased, two variables are back. It is hot and humid and I am fatigued but at least I know the path and can pace myself. No one ever said sport touring on a 250 was a glamorous sport, otherwise everyone would be touring. I stopped, refocused, breathed, assessed and committed to the last phase of this ride. I am going home now. There were twisties abound, with welcome signs such as this one. The 250 resting and enjoying the fresh air and quiet. On the way home I stopped for some refreshments. Behold a rare specie seldom seen in the wild a CBR250 sport tourer and next to it an ubiquitous Hog. I finally made it home and was greeted by two members of my pack: Master Chief (foreground) and MotoToot. And you may ask, what about the Falls? I hear they are amazing, I have yet to see them. A non moto-enthusiast may think this is utterly absurd all those miles all that time on the road and yet one misses the magnificent Falls. That is one reality. In the span of 870 miles, I fed my soul scenic vistas, met nice people and made new friends, surfed simple yet awesome roads, I breathed the clean air, and replenished my outlook. In that span of time I briefly found the realm I seek. I am a Tarmac Surfer and this is my reality, exponentially beautiful reality. Sport touring: Training runs… a prelude to the beautiful unknown. I woke up this morning determine to ride. It’s Saturday, time 0530, the weather calls for a toasty day hovering around 90F/32C and humid. What’s a surfer to do but roll out bed early, gear up and let it roll. It has been a few weeks since I’ve been able to surf and am bugging out, must find smooth tarmac…. Sport touring can be a physical endeavor (specially when riding a 250) and like many other sports the rider could benefit from some form of training and mental preparation, except a how to manual does not exist or does it? Regardless, sometimes is more fun to use one’s own creativity to undertake such challenges. So I asked myself how can I prepare to ride 300+ miles/482 km a day in what can feel like sitting in a wind tunnel under rain or high heat while taking the occasional jab to the face? [Go ahead ponder]. A clear solution evades my mental grasp thus I improvise and adapt. My current self-designed unofficial sport touring training program may include: running in 90 degree weather, +- 100 mile rides follow by more running in the heat, some weight training, a few thousand meters on the rowing machine and more running. But does it work you ask? There is only one way to find out. One of these days I know I will find myself far from all that is familiar on a beautiful two lane road maybe facing down the continental divide (or insert own place), after a long hard day of riding under less than ideal weather conditions, fatigue yet determine. In a time and place void of everyday irrelevant complexities, where human and machine must function in unison. A situation that will highlight the most fundamental aspects of one’s existence, where the main currencies are fortitude and humility. Fortitude to accept a challenge from an environment that demands humility for it is greater than self, that is reality exponentially beautiful reality.